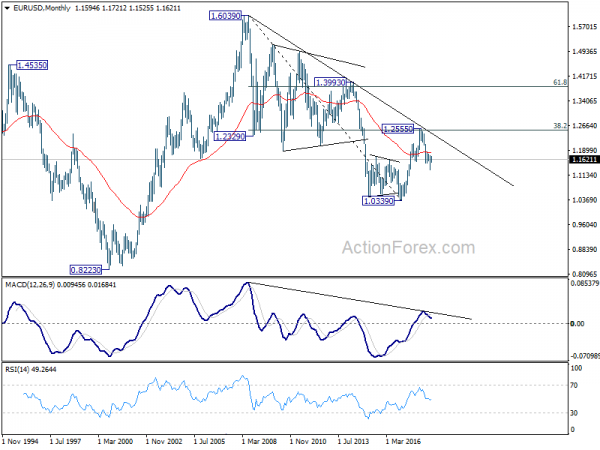 EUR/USD rebounded to 1.1721 last week but failed to take out 1.1733 resistance and retreated sharply. Initial bias is neutral this week first. 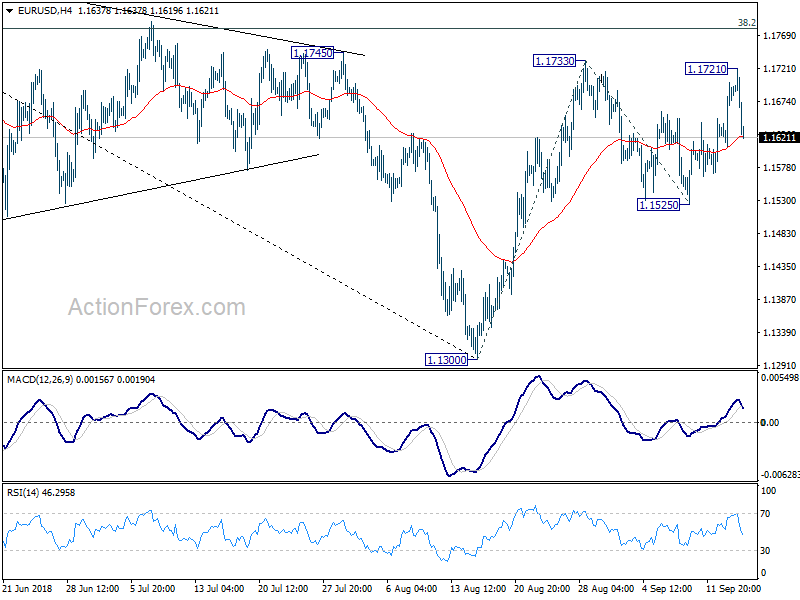 Rebound from 1.1300 could extend higher. But we’d expect strong resistance from 38.2% retracement of 1.2555 to 1.1300 at 1.1779 to limit upside, at least on first attempt, to bring near term reversal. 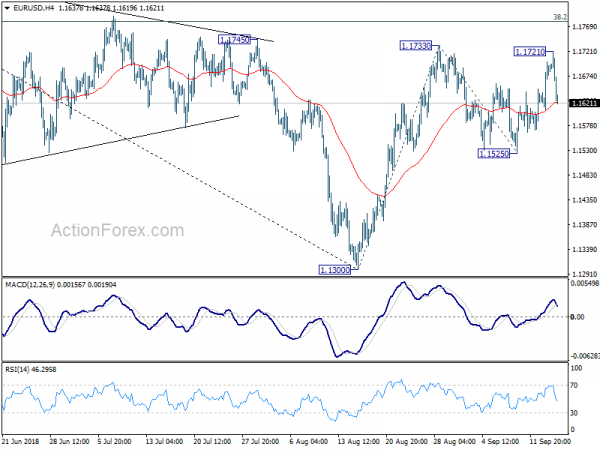 On the downside, break of 1.1525 support will indicate completion of this corrective rebound. Retest of 1.1300 low should then be seen. However, firm break of 1.1779 will extend the rise to 100% projection of 1.1300 to 1.1733 from 1.1525 at 1.1958. 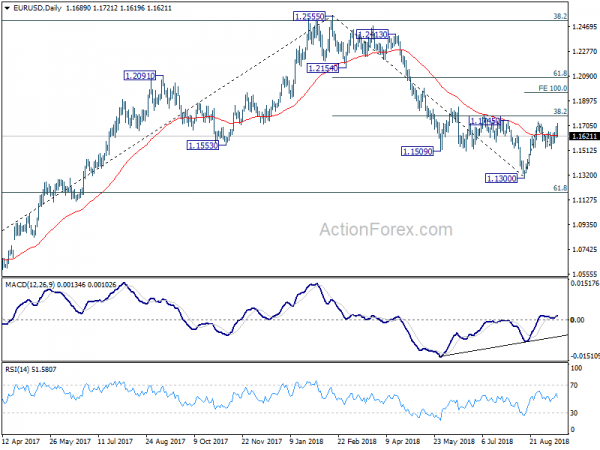 In the long term picture, the rejection from 38.2% retracement of 1.6039 to 1.0339 at 1.2516 argues that long term down trend from 1.6039 (2008 high) might not be over yet. EUR/USD is also held below decade long trend line resistance. Sustained trading below 55 week EMA adds bearishness to the case. 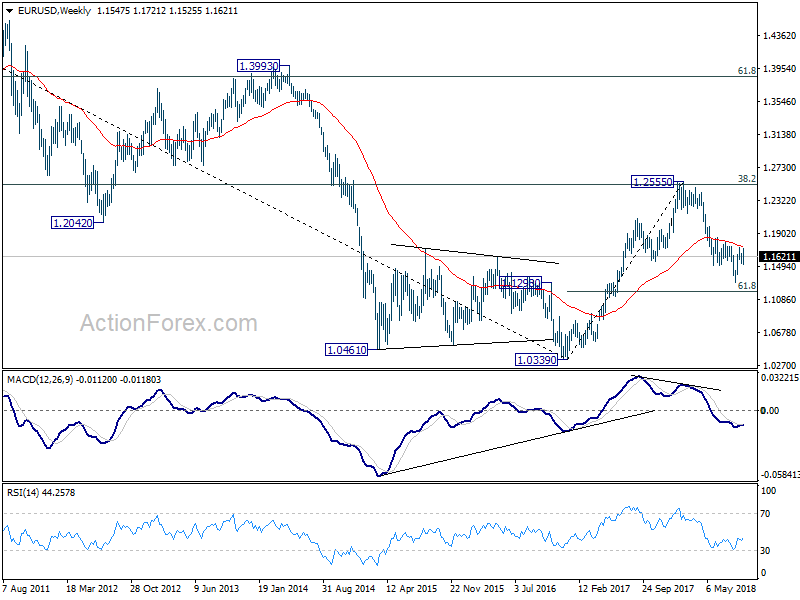 Firm break of 61.8% retracement of 1.0339 to 1.2555 at 1.1186 should at least bring a retest on 1.0339 low.